Cracking articles, and I love “Taking a side after The Sisters Of Mercy split“, Surely there was no choice?! Sensitive and artistic teenagers set adrift in the colourful soup of the 1980s found solace in the gothic. White of face and clad in black you were a world away from the day-glo pop and clothes of mere mortals. You were transcendent, you were other. But it wasn’t easy, it wasn’t just about spending your days trussed up in uncomfortable dark clothing and standing in front of a gravestone when you had your picture taken. No, it was a difficult road beset with hardship – such as the following. After the seminal, life-changing, never off your turntable First And Last And Always LP the earth shifted on its axis as the divine partnership of Andrew Eldritch and Wayne Hussey split – Eldritch to continue with The Sisters and Hussey to form The Mission. In an overly dramatic fashion you had to state an allegiance. But The Mission slightly veered off the dark path towards a more hippie style so I hope you chose right? 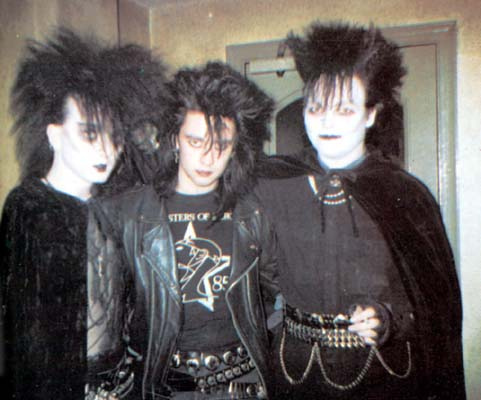 via 11 things you’ll only understand if you were a goth in the 1980s | Metro News.